Colin MacKenzie teaches in the fellowship in global journalism program at the Munk School of Global Affairs and Public Policy. He began his career in journalism in Ottawa and has held senior positions at a variety of major Canadian publications. He was managing editor, editor of the Report on Business and a Washington correspondent for the Globe and Mail. 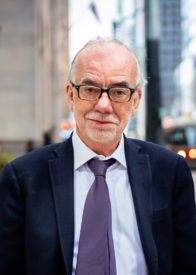 At the Toronto Star his roles included business editor, national editor and foreign editor. MacKenzie has also been a consultant and teacher and is editor of Intelligence Memos at the C.D. Howe Institute.